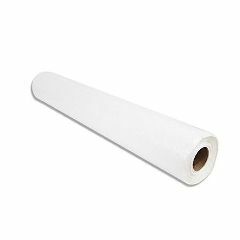 This poly-backed table paper is very useful for the busy doctor or therapist. With a wide roll of perforated paper anyone can just pull the new paper across the table and tear off the old sheet. Perfect for massage or waxing. Because this item is made of paper and polyethylene it is completely disposable. Save time and effort with the Poly-Backed Table Paper.